If you intend to operate in Louisiana as an insurance adjuster you must provide a Louisiana public adjuster bond and fulfill the multiple state requirements for licensing. Louisiana defines a “public adjuster” as any person who, for any compensation, direct or indirect, engages in public adjusting. Public adjusters investigate, appraise or evaluate and report to an insured in relation to a first-party claim for which coverage is provided by an insurance contract that insures the property of the insured. A public adjuster acts solely on behalf of the insured or claimant, who receive(s) some protection under the Louisiana public adjuster bond. There are exceptions to the bonding and licensing rules under certain natural catastrophe conditions. An adjuster’s conduct is regulated by the Commissioner of Insurance under RS 22:1210.106. The amount required is $50,000, which must be written on Louisiana’s multi-purpose bond form. The Louisiana public adjuster bond language is very broad because the same form is also used for TPA bonds. The obligation states that the adjuster will promptly pay all claims arising and accruing to any person by virtue of any policy issued, service agreed to, etc., and that he “shall well and faithfully discharge and perform the duties incumbent on him under the provisions of Title 22 of the Louisiana Revised Statutes and all other applicable laws”. Louisiana surety leader, Surety One, Inc., offers these bonds to qualified applicants regardless of credit condition in every state where bonding is required of adjusters. 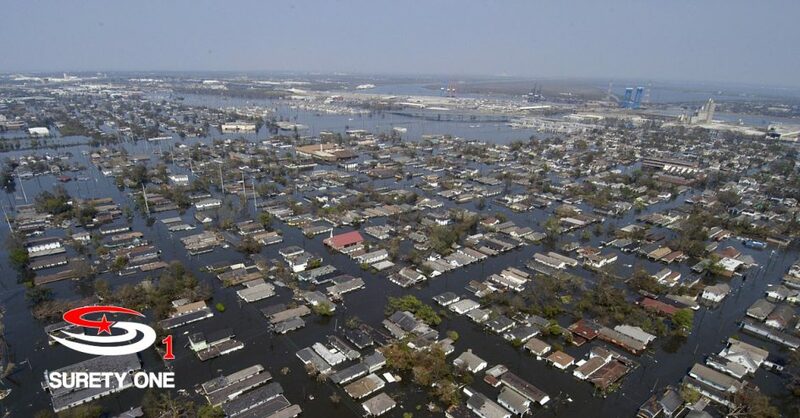 Visit us at SuretyOne.com, call (800) 373-2804, or email Underwriting@SuretyOne.com for a Louisiana public adjuster bond application of further information about surety bonds.